Kodak Sport Waterproof, single use and 27 Exposures. My flatmate gave me this camera to use. It was sorted in his room and had expired. These are the results. These were taking while I was volunteering with the Lower Regents Coalition. 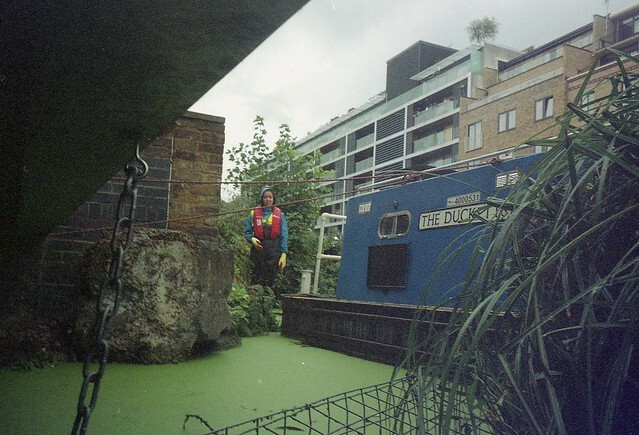 I would have been in the canal and wearing gloves so I thought it would be the idea opportunity this waterproof camera. The camera has no controls other then the shutter and winder. I think the graininess comes from it being expired and being sorted in a warm/hot room for too long.